I am a Realtor in the Asheville area. I am also a mom of 3 wonderful young ladies and a widow of almost a year. Through heartache and loss I am learning to live wide open, unapologetically, and open heartedly. I find nature to be my most healing space and am grateful to live in the beautiful mountains of Western North Carolina, which are a daily gift to me. I believe in love, all forms of love and think that is our purpose, our way forward, our way to expand and be present in the gift of our lives. 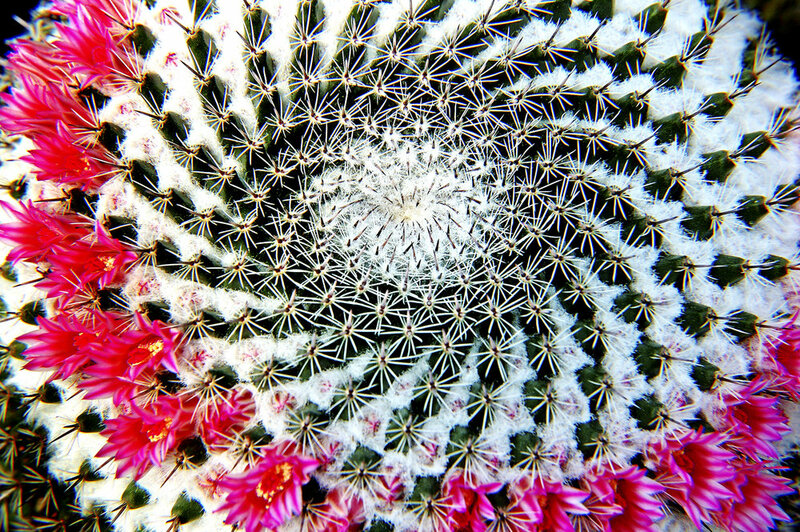 The natural swirl of the cactus is mesmerizing as it harkens back to the Golden Mean Spiral of sacred geometry. The patterns and codes of sacred geometry are deemed symbolic of our own inner realm and the subtle structure of our awareness. The dichotomy of the harsh thorns and the delicate pink flowers mirrors the colorfully harsh and intricately delicate beauty of life.